Another early start this morning, had to be up at 6am in order to catch a bus from Unst back to mainland (mainland the main island on Shetland, I don’t mean back to the mainland). The bus was late and I was starting to worry about missing my ferry connection to Yell (where I was due to catch another bus which went all the way back to Lerwick via another ferry). Spurred on by yesterday’s impromptu offer of a lift from a local I tried hitchhiking for the first time in my life – and to my surprise the first car stopped. I suppose people in these rural communities tend to help each other out like that. The driver was an old lady and drove me all the way to the Yell ferry which I was very grateful for. 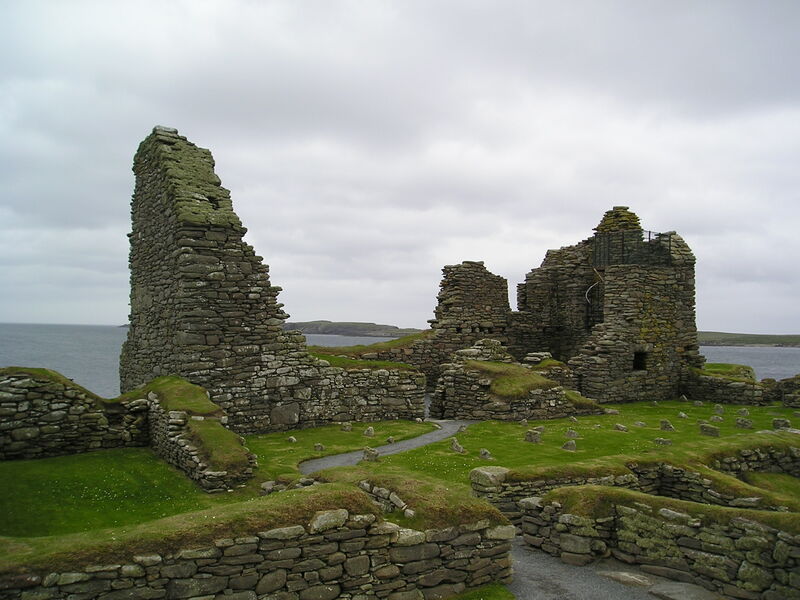 My main sightseeing activity of the day was a trip to Mousa Broch, brochs being old iron age forts specific to the Northern islands and the far North East of Scotland. 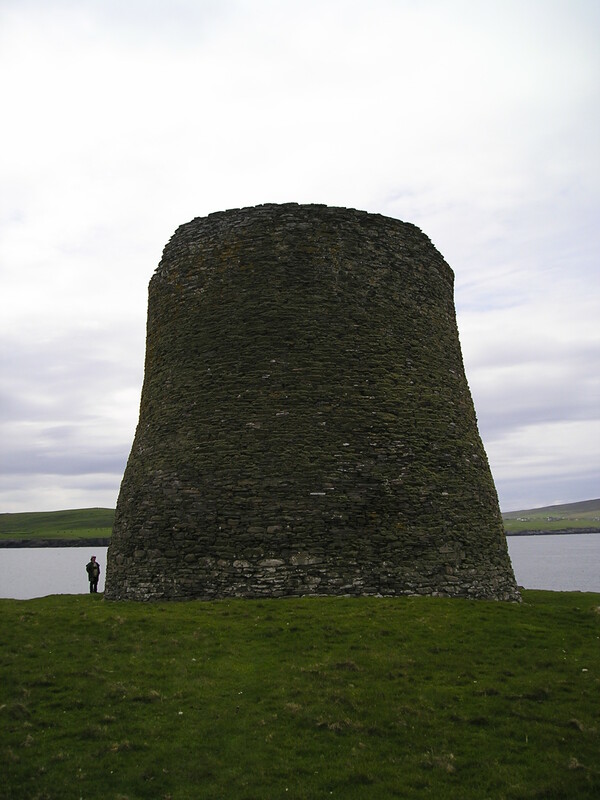 Mousa is the best preserved of the brochs, on an uninhabited island of the same name, a tour company charters boats to go out there. 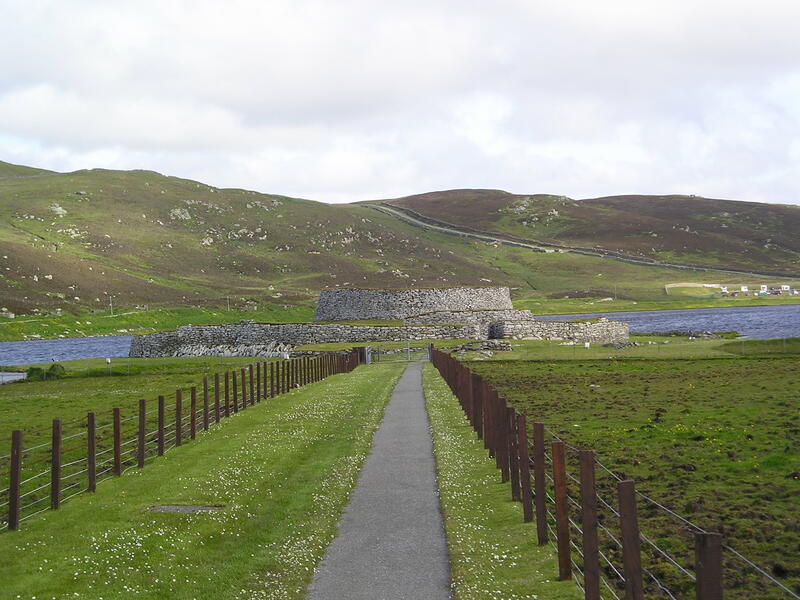 We had about two hours on Mousa which was plenty of time to see the broch and go for a walk. 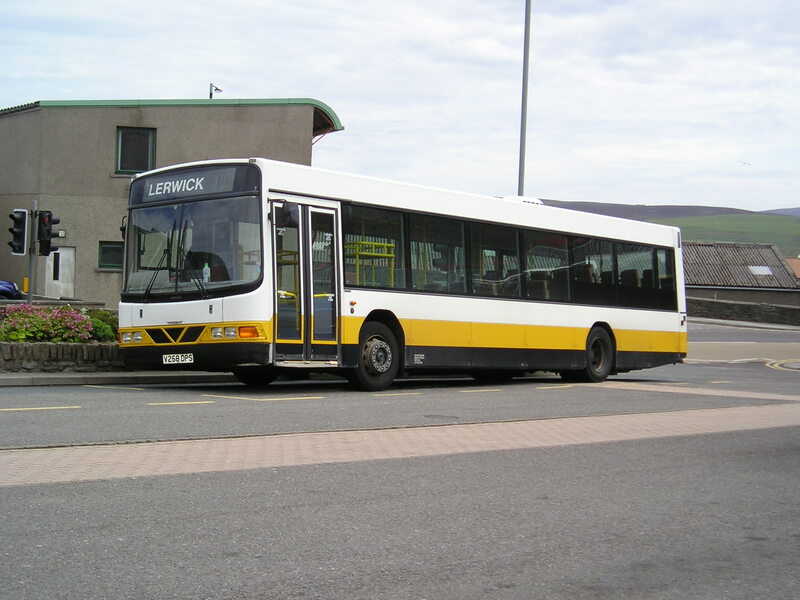 I’d asked on the boat if anyone was driving back to Lerwick as the bus times would’ve left me with a two hour wait, and a German couple had offered, only for me to realise when we got back that they thought I was offering them a lift, they didn’t speak much English. With all the other boat passengers rapidly driving away I was a bit panicked but managed to ask the last remaining couple if they were headed back to Lerwick and fortunately they were. They were a very friendly couple from Nottingham and invited me back to their rented cottage for a cup of tea before heading back, after a few days on my own I was really grateful for the company. 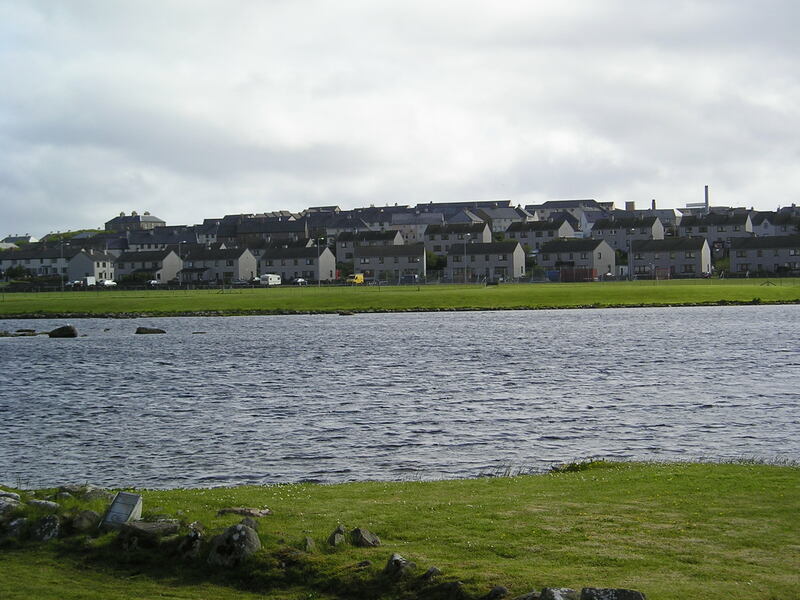 Back in Lerwick and again at the mercy of the limited eating options I got some chicken and chips from a takeaway and sat on the harbour eating them, which annoying and predictably attracted a lot of seagulls. I then had a few hours before my 1:30am ferry to the Faroe Islands so went to a couple of pubs. Da Noost was the first place I went, nice enough but quite a young crowd in there, although there was an eccentric bloke at the bar which added a bit of interest. Then I went to Captain Flints, which as the name suggests was a nautically themed pub. I didn’t want to drink too much before my ferry so left about 10:30pm to head to the ferry port. We finally boarded (slightly late) the Smyril Line ferry at 2:00am, it had been slightly late arriving from it’s last destination, Bergen in West Norway. I’m far enough North now that it still wasn’t completely dark, we are just a week off the longest day of course. Sunshine. Incredible. The rain seemed to go on all night though, but thankfully my tent just about survived, a bit of a leak but I wasn’t drenched. I’m only on Shetland for a few days so left Lerwick this morning on the 7.55am bus for the Northern isles. Just as I was thinking how good the public transport was, with integrated ferries and buses, I found out my ferry on the Yell sound was delayed as the previous ferry couldn’t lower its ramp or something. 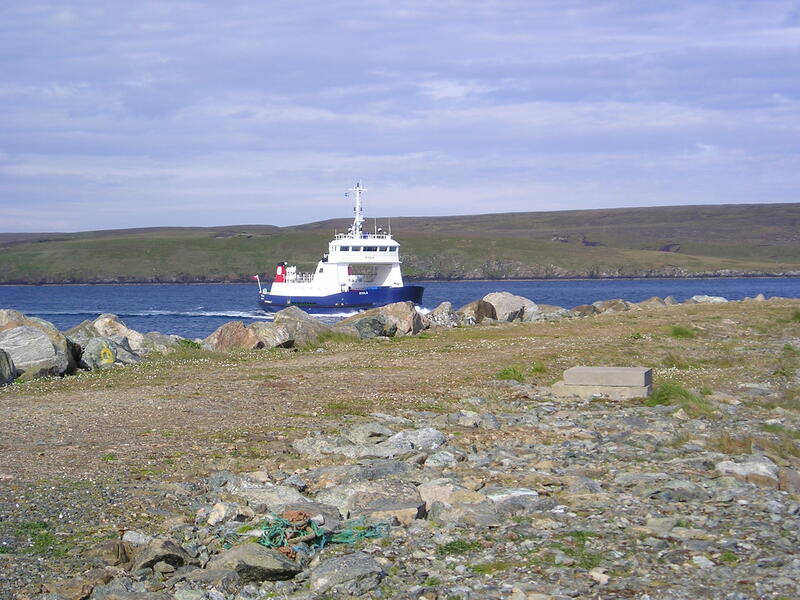 It meant I had to get a later ferry to Unst, meaning I missed my bus connection. Egged on by a crazy woman who wouldn’t stop talking I asked a couple in a hire car for a lift. Turns out they were fellow far North travellers who’ve been to Alaska, Spitsbergen and driven from Bergen to Tromso [edit: writing this seven years later I’m proud to say I’ve now done all of that too – albeit the latter by train most of the way] They very kindly gave me a lift to the Unst youth hostel, which was very nice but totally deserted. I pitched my tent in the garden, and it was great to appreciate the sunshine and tranquillity of it all, but I had read that you could hire bikes from the hostel and it looked like this wouldn’t happen now as there was noone around to ask. Nevermind I thought, I’ll do the walk I’d read about, cliff walk up the west coast, then come back via the shop and hotel bar in Baltasound. Maybe it was the terrain, maybe it was tiredness from yesterday, but my god within three miles I was knackered. The cliff walk was nice, the best thing about Unst is the quietness and remoteness of it all. Other than in the Baltasound shop and the odd passing car I didn’t see a soul all day. I had hoped to make it to Haroldswick, home of Britain’s Northernmost postbox and a novelty bus stop furnished with a sofa, lamp and books. On the walk back to the youth hostel a car stopped and offered me a lift, which was very gratefully received. The driver was a lady who’d grown up here, left for university and came back to teach at the primary school here. She talked about the depopulation of Unst (a problem for rural communities the world over it seems) but also about how much stuff there is to do in the local community. The crossing was fine last night in the end, a bit choppy but I’d taken a couple of seasick pills which seemed to do the job. Probably got about five hours sleep which wasn’t too bad going. There was a bar and restaurant on board but I was too tired to go to either. 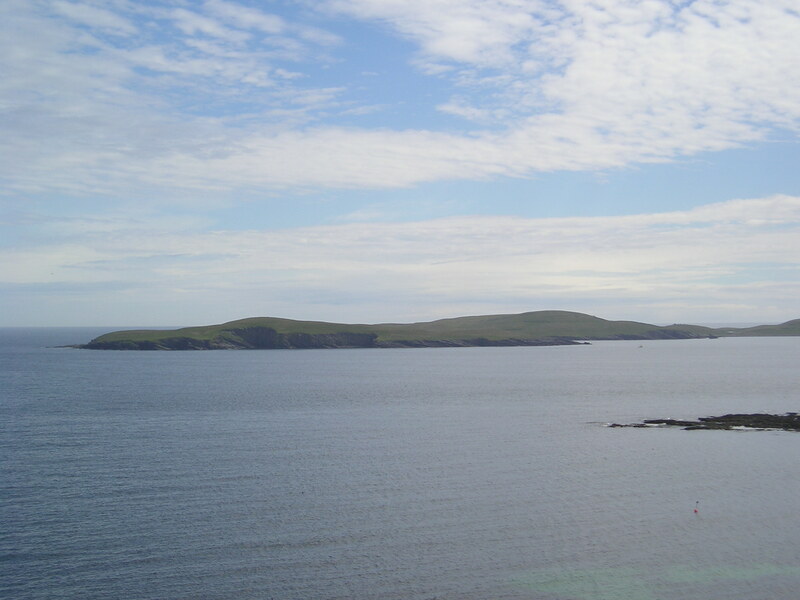 Sunday morning is evidently not the time to visit Lerwick. Other than the helpful tourist information centre, everything was closed. I checked out Fort Charlotte, and am sorry to say I was somewhat unimpressed – a few walls and cannons but not much to really hold my interest. Somerfield supermarket back near the campsite was at least open so I was able to get some breakfast and stock up on food. It’s a bit of a culture shock nothing being open – I guess I’m used to London life but when you think Lerwick is the “big smoke” of the whole of Shetland, I wonder how people manage! Then again I suppose it’s not so different to how a lot of towns across Britain were 20 odd years ago before Sunday trading took off. So after something of a slow start to the day, I got a bus down to Jarlshof, the viking settlement. This I was really impressed with, more so than I thought I would be. 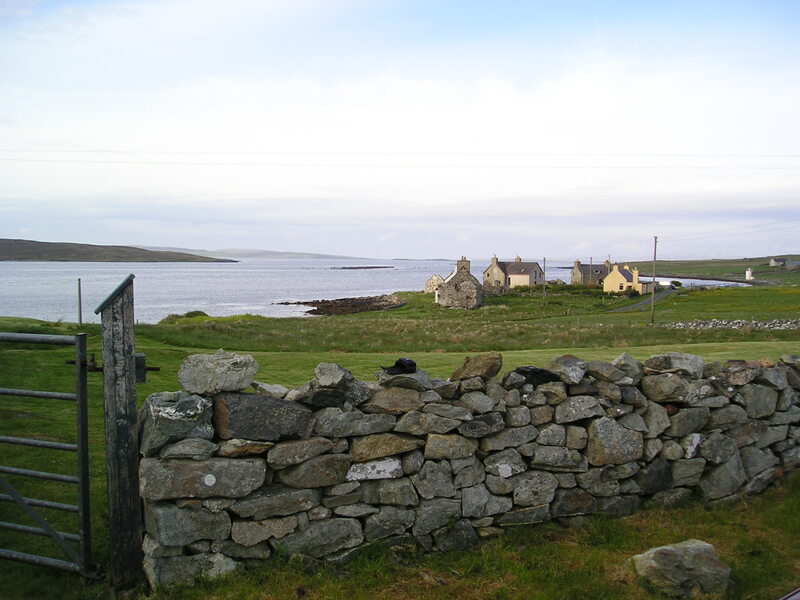 As the audio guide (one of those walk around with headphones efforts) pointed out, I was viewing several thousand years worth of architectural history, some of which was unique to the North Isles and North West Scotland. I hope I get the chance to see Mousa Broch while I’m up here, which is the best preserved Broch around here (Brochs are old cylindrical forts unique to this region). Just as I’d finished looking around Jarlshof, it started raining. It got heavier and heavier as I walked to the puffin colony at Sumburgh head. Impossible to believe it’s June, it felt like the lake district in March. 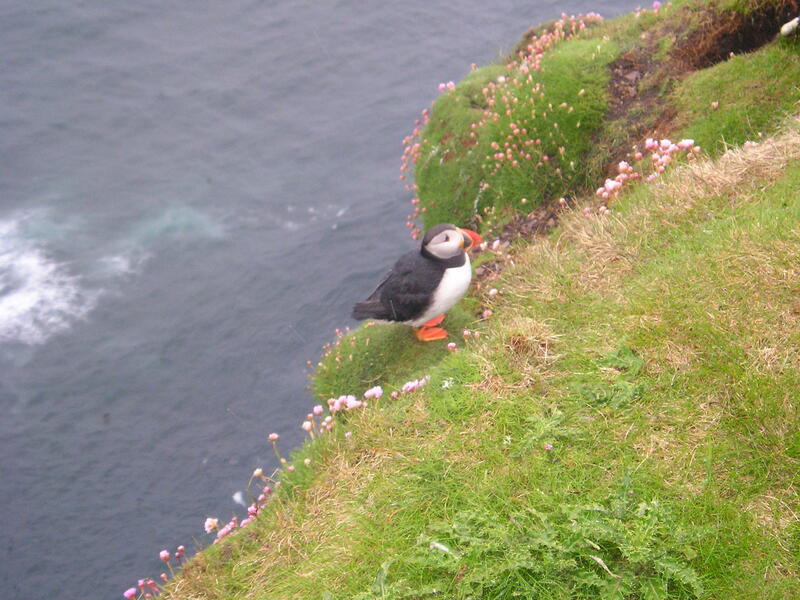 Still though the walk to Sumburgh head was well worth it, I saw plenty of puffins, all looking very cute because they tend to look a little sad! On the way there some other birds (arctic terns?) were trying to attack me, I’d obviously ventured too near their nesting ground and they were squawking like mad and trying to dive bomb me – first time I’d experienced anything like it! I sheltered from the rain at a bus stop but had a rather depressing 50 minute wait for a bus back to Lerwick – to be expected in this part of the world I suppose, and although they’re infrequent they do seem reliable. Arrived absolutely drenched back at my tent and realised I could be in for a tough three weeks! The tent was leaking a little, obviously wasn’t built to withstand Shetland rain. This got me down a bit, not even one camping night into the holiday – would I have to give up and stay in B&Bs from here on? I dropped my bag off and wandered back into town and mercifully found an Indian restaurant open for dinner. The food and service were distinctly average, as my guidebook warned “Shetland is no place for Gastronomes”. 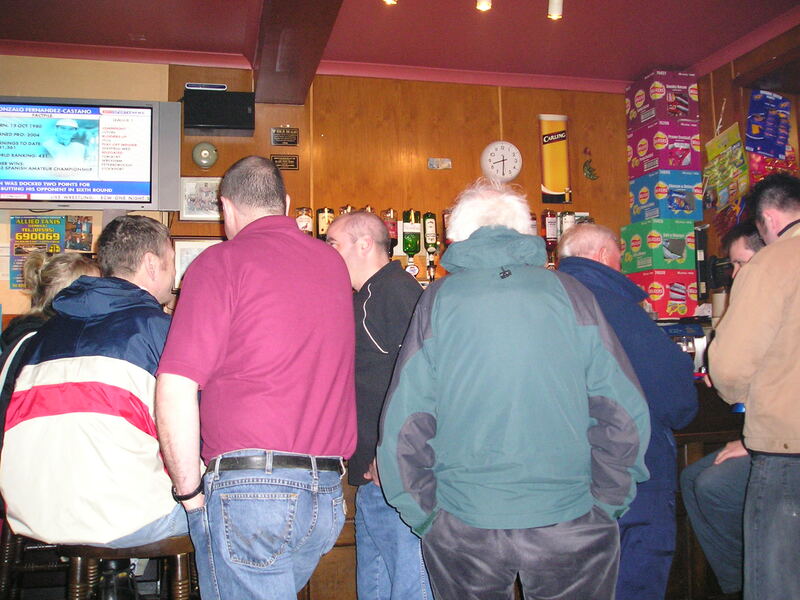 Afterwards I checked out the number one drinking establishment in Lerwick, “The Lounge”, which is a little shabby but in a nice way, and attracts a good crowd. Really I was just grateful to be out of the rain for a bit. On the way back to the campsite I saw an estate agent where they had a 2 bedroom mid terrace for sale at £50k – having been dreaming of getting onto the property ladder in the South of England for years it made me wonder if I was just looking in the wrong place! 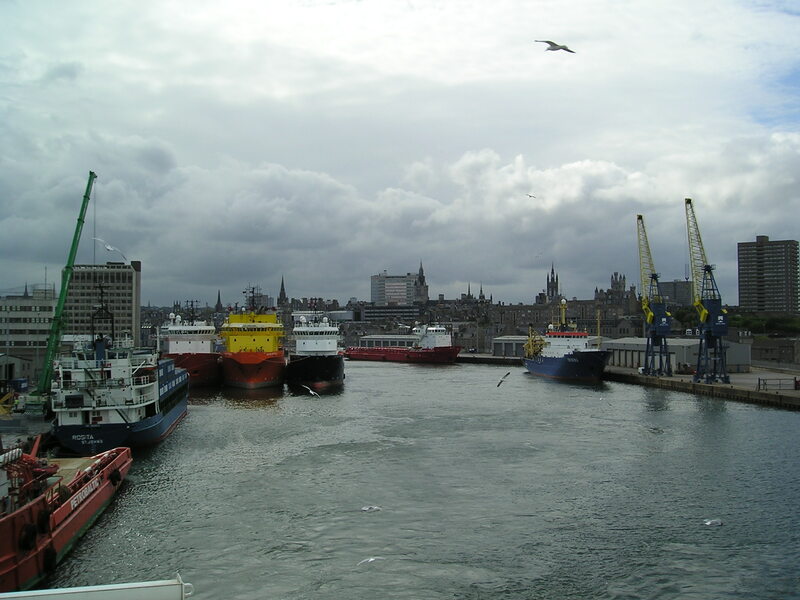 I’m going to write up my three week trip I did in the summer of 2005 (a scary seven years ago, can’t believe that). For the most part I’ll just write up an old journal I kept at the time. Left home at 8:30 this morning, fairly uneventful journey to Aberbeen via Luton and easyJet. Aberdeen seemed a few degrees cooler than London, according to my GPS I’d travelled 400 miles North but this was just the start. I’m writing this on the North Link ferry to Aberdeen, the North sea is predictably a bit choppy so it could be a long night! 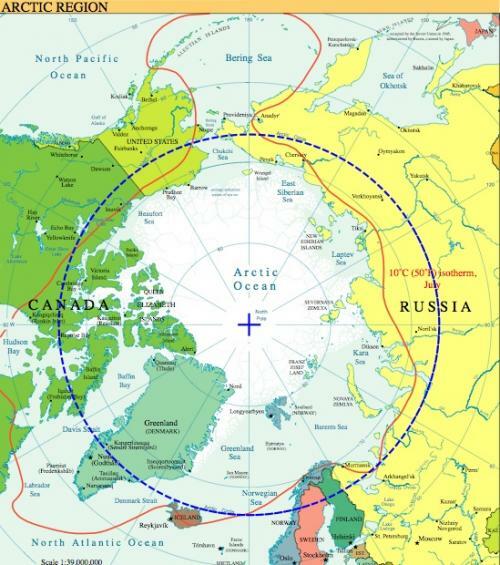 But it’s great to be surrounded by the North atlantic, which will be a constant for the next three weeks, save for perhaps a few days in Iceland. Just read up on Lerwick in the guidebook so I’m ready for the 7am arrival tomorrow.